Just found these pictures I took last year when a friend of mine married at Madrid City Hall’s principal venue for such ceremonies, the ancient Casa de la Panadería in a square much loved by locals and tourists alike, Plaza Mayor. 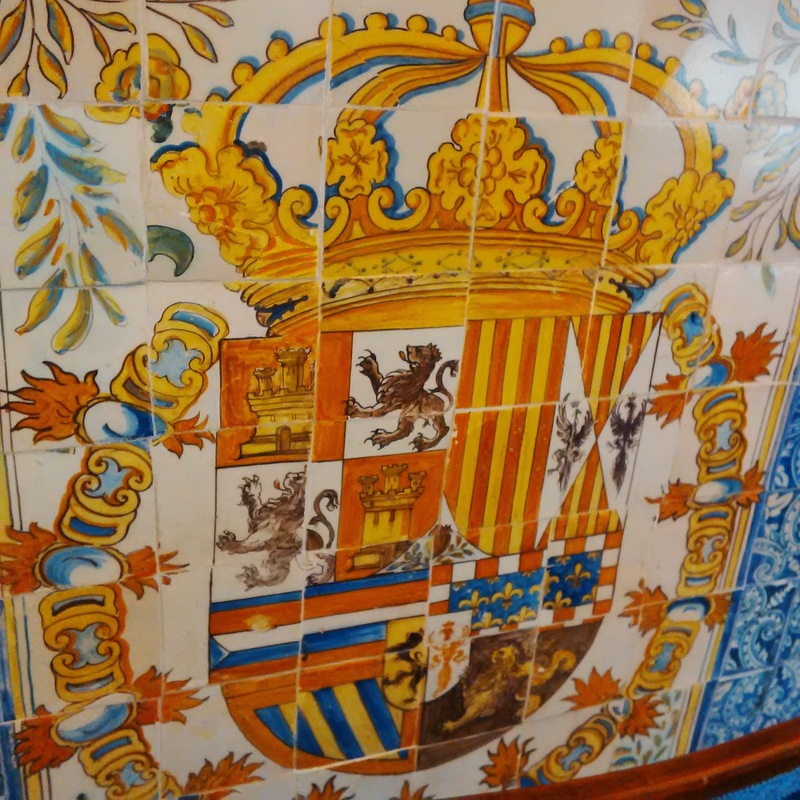 Perhaps surprisingly, only the Spanish arms – not Madrid’s municipal coat – figure as fixtures in the room. 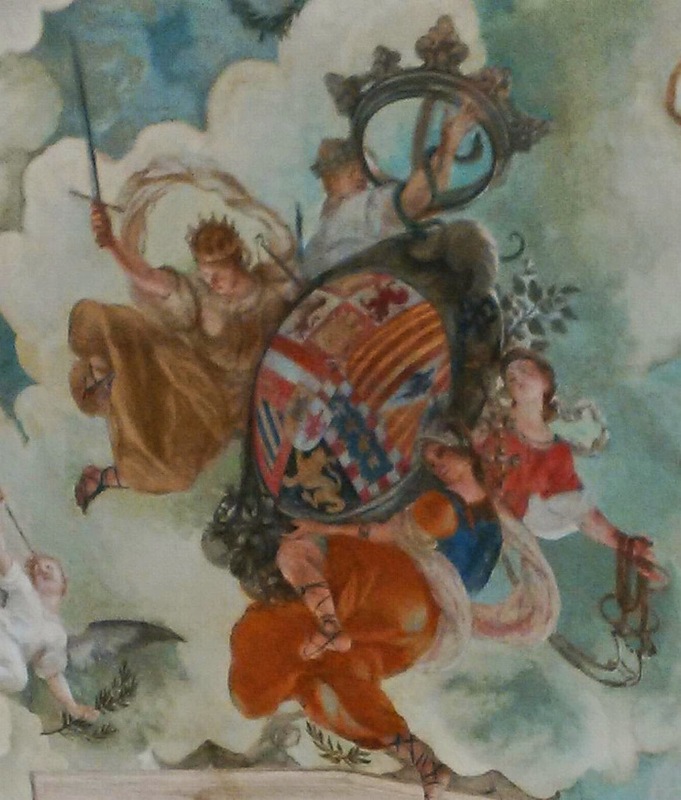 The beautifully painted arms adorning the ceiling have obviously been there for a very long time, but I wonder if the heraldic tiles on one wall may have been brought there from elsewhere – the individual parts don’t seem to line up very well!